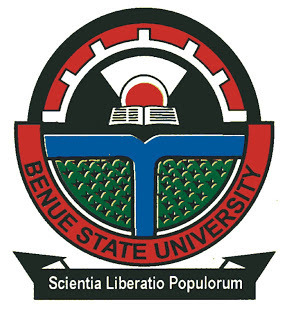 Academic and non-academic activities were on Monday grounded at both campuses of the Benue State University, BSU, in Makurdi, as some students protested against the over 65 per cent hike in school fees for new students. The students who took over the entrance of the institution, chased away the security personnel manning the institution’s gates even as they prevented any form of movements, in and out of the institution. One of the aggrieved students who spoke on condition of anonymity said they embarked on the protest to resist the new tuition regime recently introduced by the management of the institution. “How can the management of the university carry on as if they are not aware of the economic situation in the state and country, with the new policy the least fee payable in the school is N92,000 as against the former N56,000. Their action is the height of insensitivity.” He said. Mrs. Terlumun Bur, in the statement, noted that the action was particularly worrisome as the institution was scheduled to commence accreditation of programmes by the National Universities Commission from Monday, May 21, 2018. She noted that the university was yet to conduct election into the leadership of the Student Union since the expiration of the tenure of the last executive committee, stating that the university does not have any student union leadership currently to direct such a protest on campus. Bur warned the perpetrators to vacate the gate in their own interest, vowing that the BSU management “will not hesitate to avail itself of lawful means to deal with the situation”. The statement reads in part: “University wishes to inform all bona fide students of this institution to go about their registration and other normal academic activities, as the first semester of the 2017/2018 academic session has commenced in earnest.